Fifty years ago, Dr. Barbara Ann Teer founded the National Black Theatre (NBT). NBT, New York City’s oldest continually run Black theater, is celebrating its golden anniversary with “NBT Beyond Walls,” with activities across the city, country and world. “The Black Woman: She Does Exist” by Dr. Barbara Ann Teer, performed by Lizan Mitchell. The piece was reimagined by Chisa Hutchinson, whose “Gaze This” was performed by Victoria Wallace. “Address at the Hattiesburg Freedom Day Rally” by Ella Baker, performed by Marjorie Johnson. The piece was reimagined by Mfoniso Udofia, whose “Birthday Homily” was performed by ChelseaDee Harrison. “The SNCC Position Paper” by the Women of SNCC, performed by Patrice Johnson. The piece was reimagined by Staceyann Chinn, whose “Me Too, Too” was performed by Brittany Bellizeare. 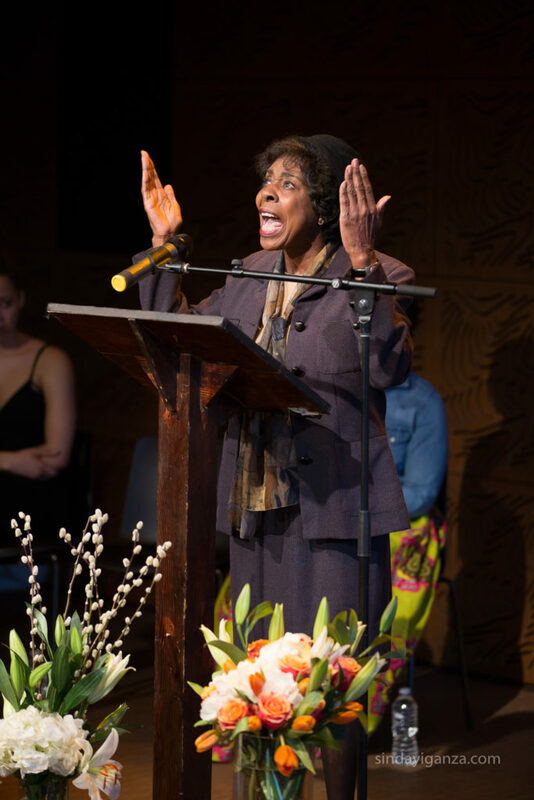 In further celebration of a Brooklyn-based mother of the movement, an article written by Dr. Joan Maynard, artist, preservationist, and first executive director of The Weeksville Society, “I’m A Preservationist,” by Maynard, National Trust for Historic Preservation, was featured, performed by Elizabeth Van Dyke. The next stop for NBT is the Schomburg Center in Harlem on Tuesday, April 16 for “In Perpetual Flight: The Migration of the Black Body.” For up-to-date information about NBT’s 50th anniversary, visit www.nationalblacktheatre.org or follow NBT on Facebook (@NationalBlackTheatre) and Twitter/Instagram (@NatBlackTheatre).